BCMM launched is new website at the ICT Intelligence Operation Centre at 11.30am today. The website is one of the undertakings that was made during the State of the Metro Address last year and it is part of the Citizen Engagement Platform. 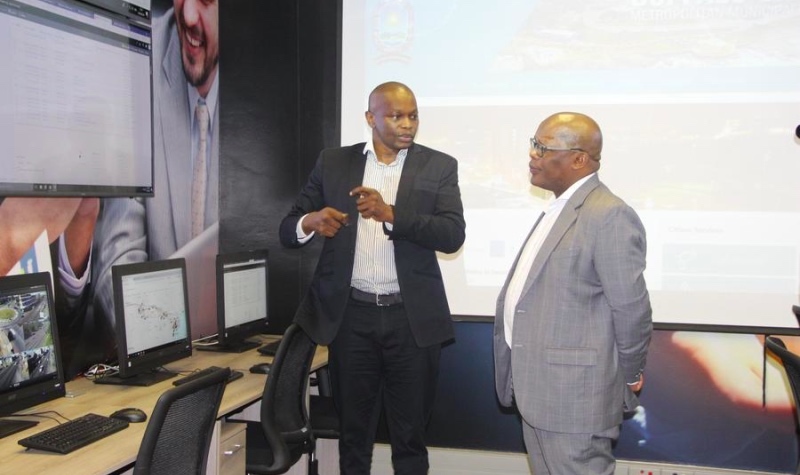 Speaking at the launch the Executive Mayor Councillor Xola Pakati said, “In the State of the Metro last year we promised citizens to be a smart city and this was after our website was hacked. I am very excited that we are now at a point of fulfilling that promise. By this we are improving our communication with our citizens, which also enables citizens to have direct access to the municipality without having the burden of going to Municipal offices”. The launch comes after the hacking of the website in June last year. The security measures in the old website set the City backwards in its efforts to bring better online services to its citizens. The old website had vulnerabilities, no proper security socket layer certificate. The new website is user-friendly with social media links available, it will help residents log faults without having to call, they can also log complaints from the mobile app linked to the websites which has a security certificate available.